Home / غير مصنف / UK weather fog: What is causing the fog over London today? How long will it last? 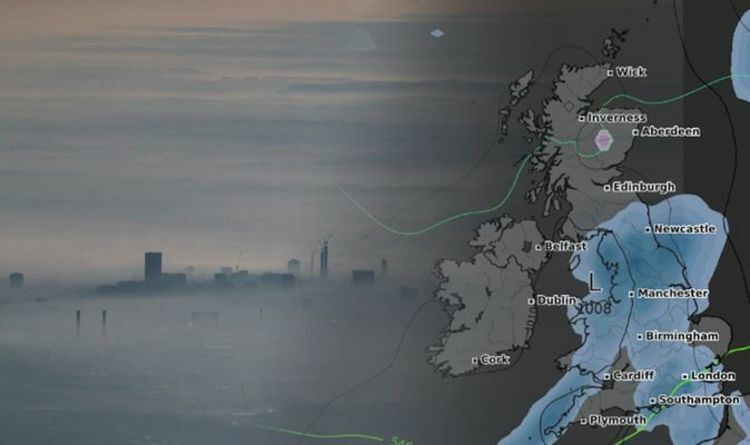 UK weather fog: What is causing the fog over London today? How long will it last? Dense fog blanketed London and the southeast this morning, with foggy conditions remaining around the capital. According to the Met Office, fog is caused by tiny water droplets suspended in the air, and the thickest fogs occur in areas where there are more pollution particles in the air. The Met Office forecast predicted fog patches to the south for today but did not say how long it would last. However, in Ireland, an orange fog warning had been issued for 18 counties. The warning impacts Dublin, Carlow, Kildare, Kilkenny, Laois, Wexford, Wicklow, Offaly, Westmeath, Meath, Galway, Mayo, Roscommon, Clare, Cork, Limerick, Tipperary and Waterford. Drivers were advised to use fog lights in affected areas, and allow extra time for journeys. For the rest of the day across the UK, the weather will be mainly cloudy with rain across many parts of southern England and South Wales, with some heavy bursts at times. A brighter picture further north, with sunshine for many, but feeling cold in the breeze on eastern coasts. This evening it will be dry for many, but rain will linger in parts of the south. It will be cold to the north, with frost and fog patches likely. Fog “is essentially a cloud at ground level that causes a reduction in visibility to less than 1000 metres” according to the Met Office. Areas with high pollution can see thicker and longer lasting fog as there are more pollution particles in the air allowing water droplets to coalesce and grow. It becomes a much more noticeable thick fog when the visibility drops below 180 m.
Severe disruption to transport occurs when the visibility falls below 50 m over a wide area. This can lead to cancelled flights, road closures and delays to rail journeys.